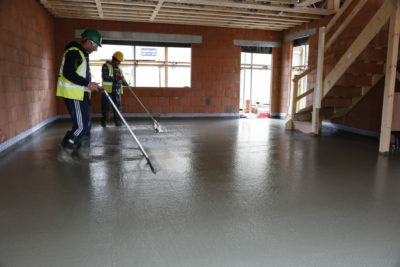 London Flow Screed is a leading supplier and installer of liquid screeds in the UK. 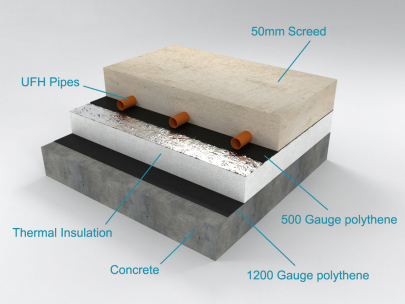 We deliver our screeds on site with the use of innovative machines that pump the liquid screed into situe. This provides a fast efficient and very precise floor covering. Self curing, self compacting, fast drying screeds and underfloor heating compatible; our flowing screed is superior in every way. Our floor screeding contractors are available to both domestic and commercial clients throughout London, Surrey, Essex, Kent, Buckinghamshire, Hertfordshire, South East and West. Should you have any further questions, please contact our experienced team and we will be more than happy to talk to you about your project. WHY CHOOSE FLOW SCREED ? Liquid flow screed is fast becoming the industry standard in floor screeds. This type of flooring is also referred to as self levelling screed or a calcium sulphate screed. Simple in its preparation this new form of flowing screed is suitable for light domestic use in under 24-48 hours after installation. Allowing your project to continue without any delay. Thus saving not only on labour time but reducing overall costs also. The company maintains the highest levels of customer care, time management and quality product. 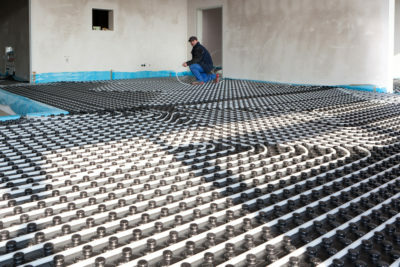 Providing underfloor heating solutions and liquid screed to all sites across the United Kingdom. We work with a number of clientele maintaining including: Local authorities, property developers, architects, quantity surveyors and private clients. We use only the finest materials in our work. Quality is paramount, and we only work with the best. We work with a number of clients from all sectors. Take a little look of some of our flowing screeds in action. Including before and after images. Please also visit our youtube channel to see us in action. Here you will find interesting articles and news about the concrete, flooring and construction industry.